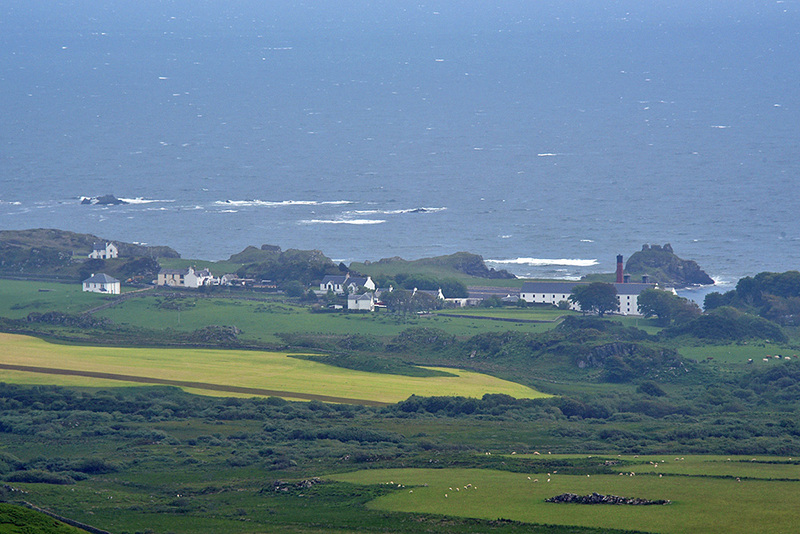 A view of the eastern part of Lagavulin on a mostly overcast day on Islay. Lagavulin distillery on the right with the ruins of Dunyvaig Castle behind it. Taken from the hills behind Kilbride. 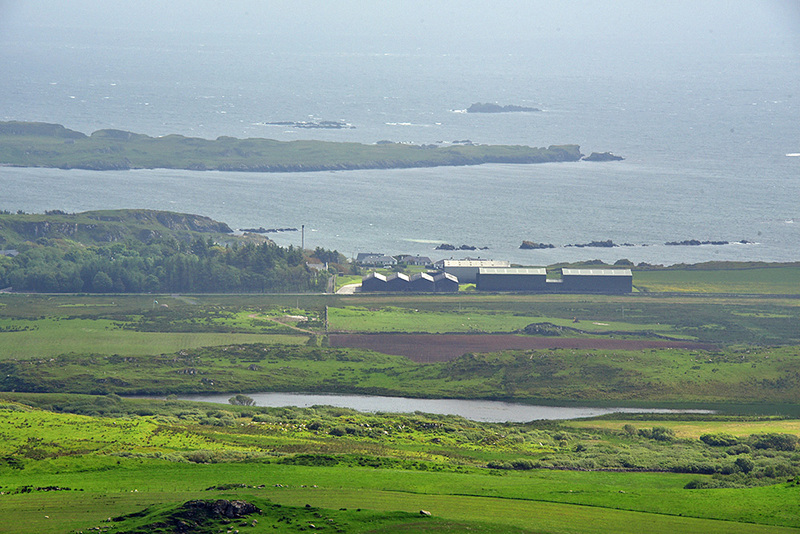 A view towards Laphroaig distillery (mainly the warehouses, the distillery is hidden behind the trees) from the hills behind Kilbride farm. Kilbride reservoir, which provides the water for Laphroaig in the foreground. Texa in the distance.